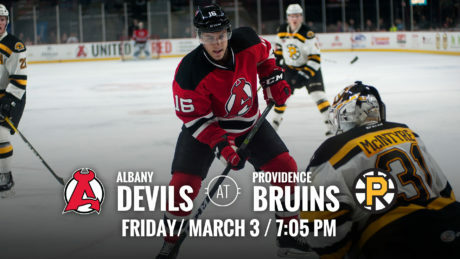 The Devils travel to take on the Bruins Friday for a 7:05 pm puck drop at Dunkin’ Donuts Center. 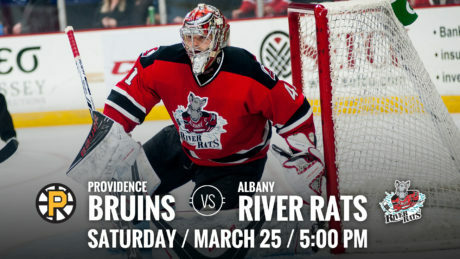 The River Rats host the Bruins for a 5 pm matchup at Times Union Center Saturday. 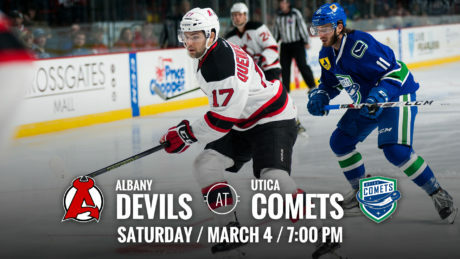 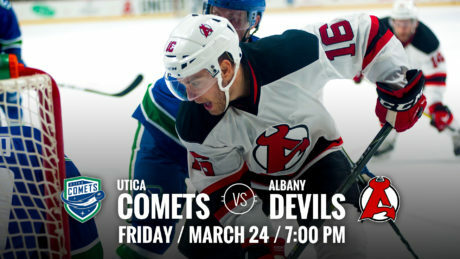 The Devils host the Comets Friday for a 7 pm puck drop at Times Union Center. 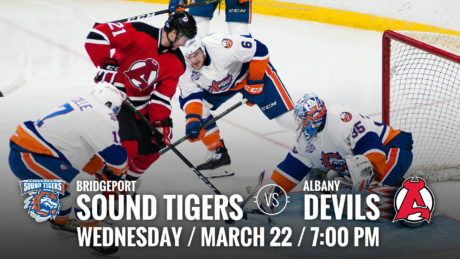 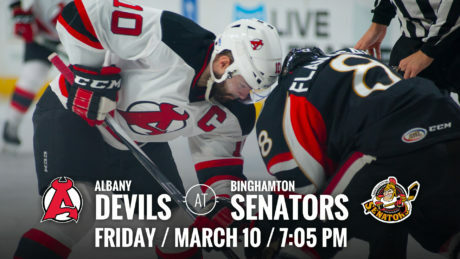 In their final meeting this season, the Devils and the Sound Tigers face off Wednesday for a 7 pm puck drop. 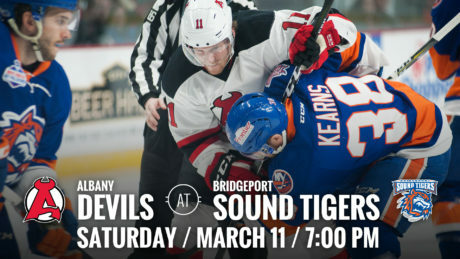 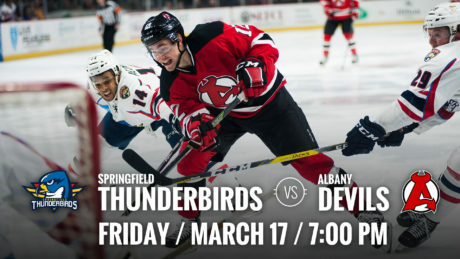 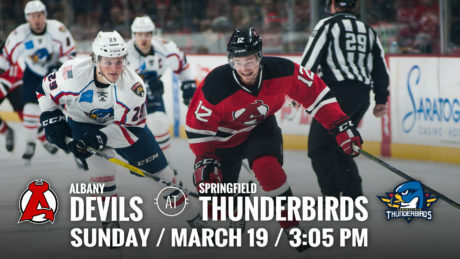 The Devils finish their six game road swing as they travel to take on the Sound Tigers Saturday at 7 pm. 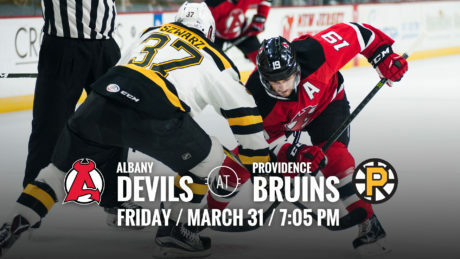 The Devils continue their road swing as they head to Providence to face off against the Bruins Friday for a 7:05 pm puck drop. 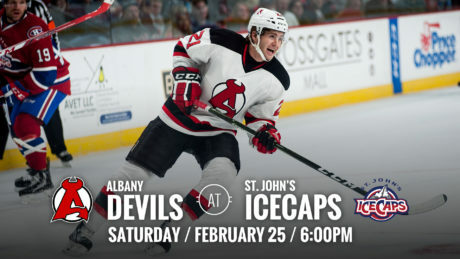 The Devils close out the weekend in St. John’s when they face off against the IceCaps Saturday at 6:00 pm.